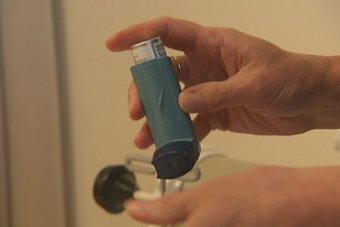 A relatively new medical procedure could dramatically improve the lives of severely asthmatic Australians, a year-long trial has found. The national trial saw 17 Australians undergo bronchial thermoplasty, a procedure to open the lungs’ airways by applying heat. Likened to laser eye surgery, it is a minimally invasive procedure carried out while the patient is sedated. The results from the trial were released at the Annual Scientific Meeting of the Thoracic Society of Australia and New Zealand, in Perth on Tuesday. David Fielding, director of bronchology at the Royal Brisbane and Women’s Hospital, had six patients involved in the trial. “I’ve seen patients that have had really excellent responses. Of those six I’d say five have had really considerable benefit,” he said. It is estimated around 2.3 million Australians have asthma, and of those Dr Fielding said the five to 10 per cent with severe or hard-to-treat asthma would benefit most from the surgery. Bronchial thermoplasty was first approved in 2010 and has already been used in similar trials in other parts of the world. “When the first international studies were published on this, the design of the study was on patients with moderate to severe asthma to ensure patients weren’t put at risk,” Dr Fielding said. Some patients noted reduced need for their asthma inhalers. “Now, with increased confidence we’ve been able to take those patients who’ve been suffering on the very severe end and offer them this treatment. Dr Fielding said it meant there was now an alternative for people who relied on strong medication to deal with their asthma. He said the drug prednisone, in particular, could have significant adverse affects. “The main thing with the prednisone is it can cause osteoporosis and it can cause bruising and thinning of the skin,” he said. Martin Phillips, respiratory physician at Sir Charles Gairdner Hospital, was involved in an earlier study that led to the FDA approval of bronchial thermoplasty as a treatment for asthma. “It is on the basis of that study that it is now available for widespread use,” he said. “That study, which finished up just over six years ago, also showed an improvement in patient outcomes. Dr Phillips said there was no doubt the procedure had a role in the treatment of asthma, but he believed it should be reserved for those who needed it most. “It’s really targeting patients who are still symptomatic despite good standard therapy,” he said. While only a relatively small number of Australian clinics offer the surgery, the doctors involved in the study would like to see it made more widely available. “We want it to be used in centres where there are experts dealing with very complex asthmatic patients,” said Dr Fielding. Dr Fielding said while the procedure could be costly, it had significant other values. “One of the aspects of the benefits of this is once you do this the reliance on healthcare admissions to hospital – presenting to the emergency department goes down,” he said. Health experts have warned there is a dire need for more funding for lung health research and are using the Perth conference to launch a “lungs for life” appeal.